Initially Ed Piskor and I hatched a plan to create an unofficial crossover with our Free Comic Book Day books. 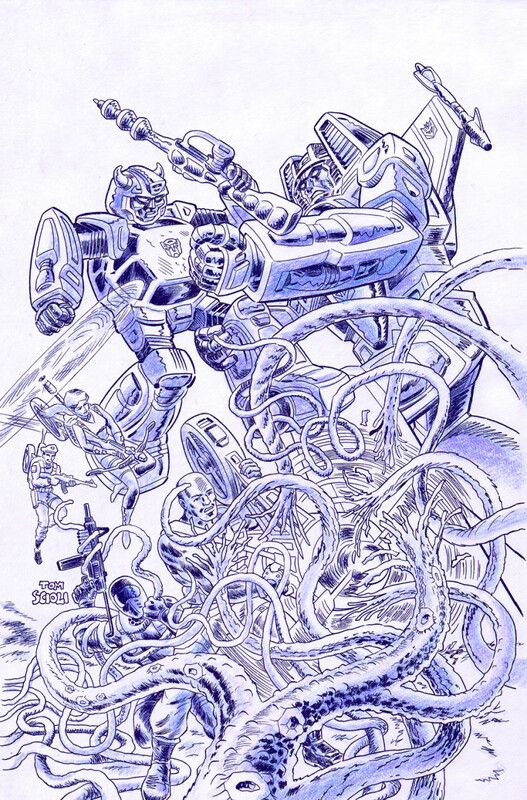 We were both going to use a layout that pays homage to Marvel’s 25th Anniversary covers. I think the end result would’ve been great, but to be honest, as an image, I just wasn’t feeling it. I liked the prankish aspects of us doing an unofficial crossover. I thought it was something that could be highly promotable, the idea of two friends creating an unofficial crossover between their FCBD books. I lament the missed opportunity for those reasons. 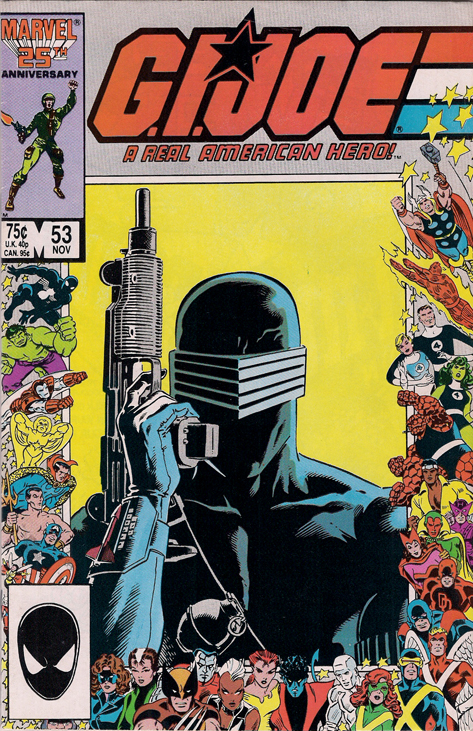 But as iconic as it is, I’ve just never been a big fan of that Marvel 25th Anniversary layout. 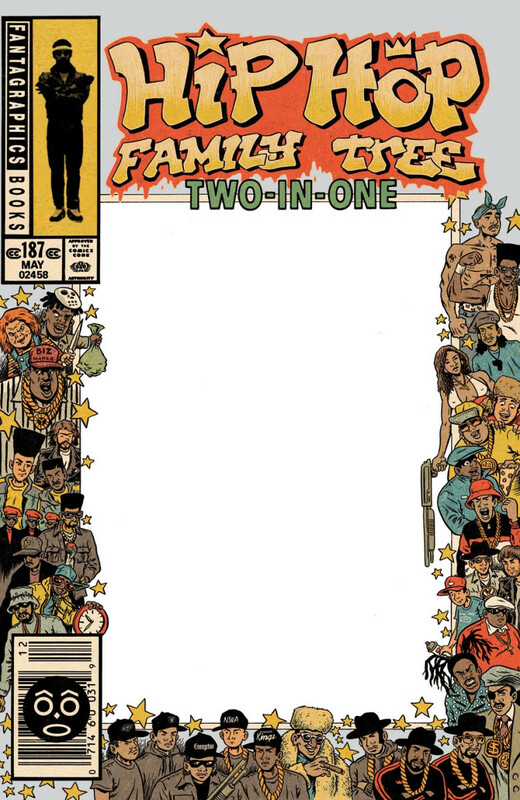 For a comic about Hip Hop, the idea of using a classic superhero layout like this is genius, real outside-the-box thinking, which perfectly fits Piskor’s “Hip Hop as Superheroes” thesis. 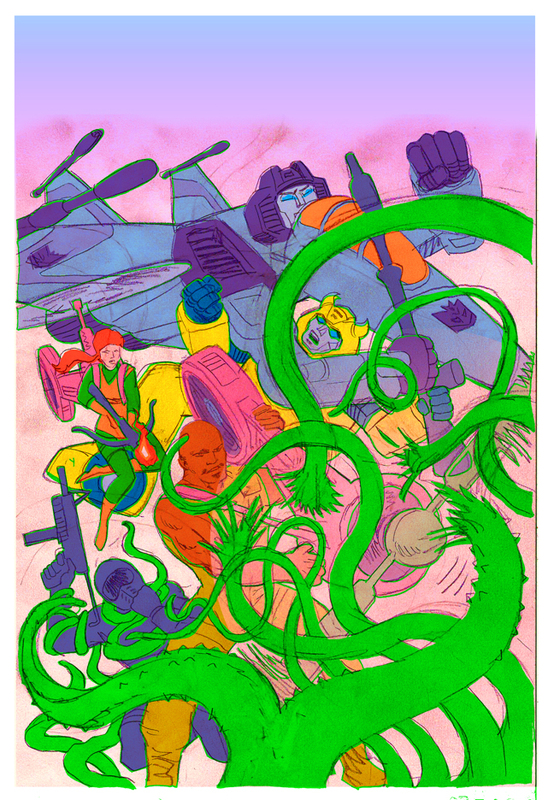 For a Transformers vs. G.I.Joe comic, where this layout has been used before more than once, it seemed like it would be a bit obvious. These are the difficult decisions an artist has to make. This isn’t your father’s Transformers/G.I. Joe comic. 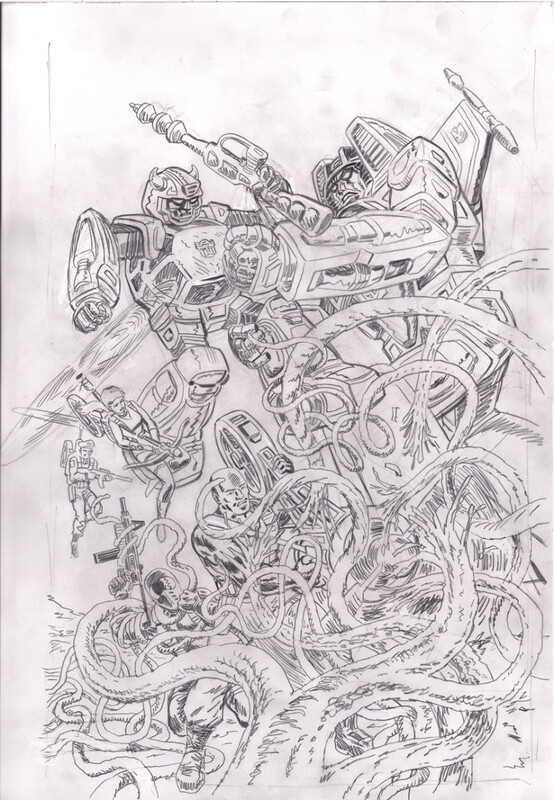 I wanted to show a real break from what’s come before with Transformers and G.I. Joe, the start of a new era that reflects my aesthetic, my strengths as an artist. 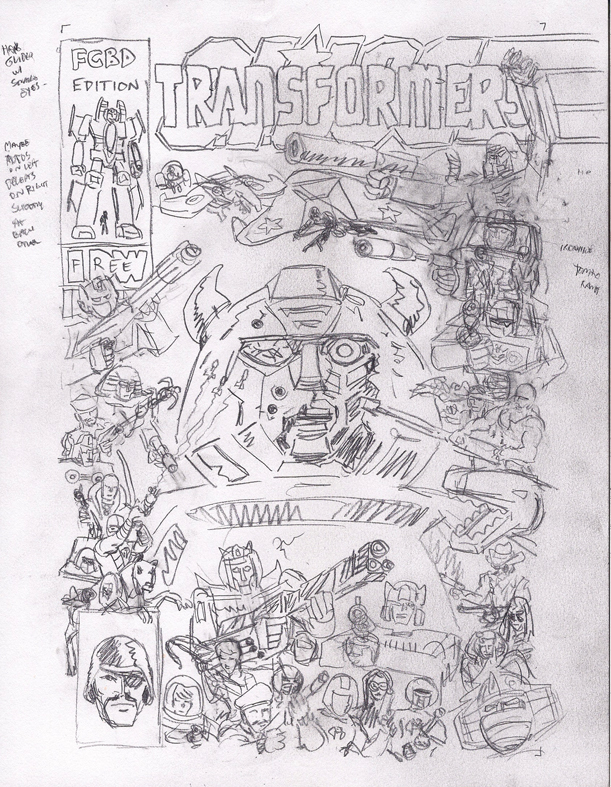 So that’s the long and winding road to a comic book cover. 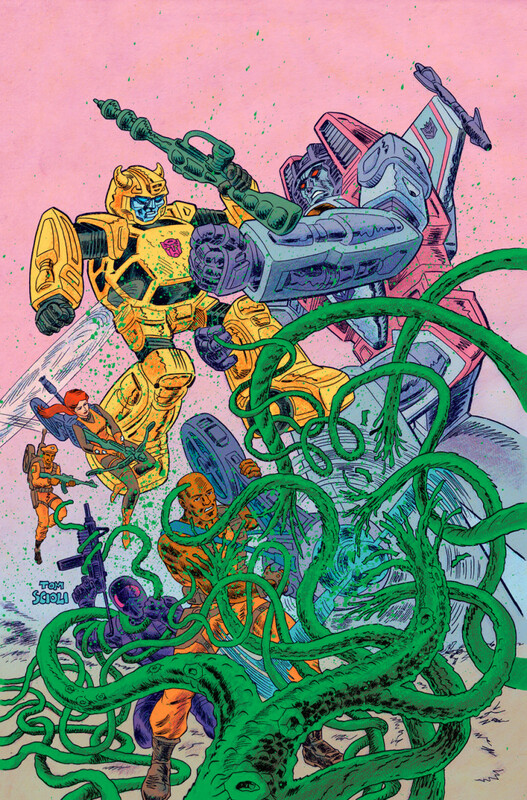 Retailers, order a ton of IDW’s Transformers vs. G.I. Joe Free Comic Book Day Gold Comic. Watch everybody come back a month later to buy issue one. Comics Fans, ask your retailer to order a bunch of these so you’ll get your copy.